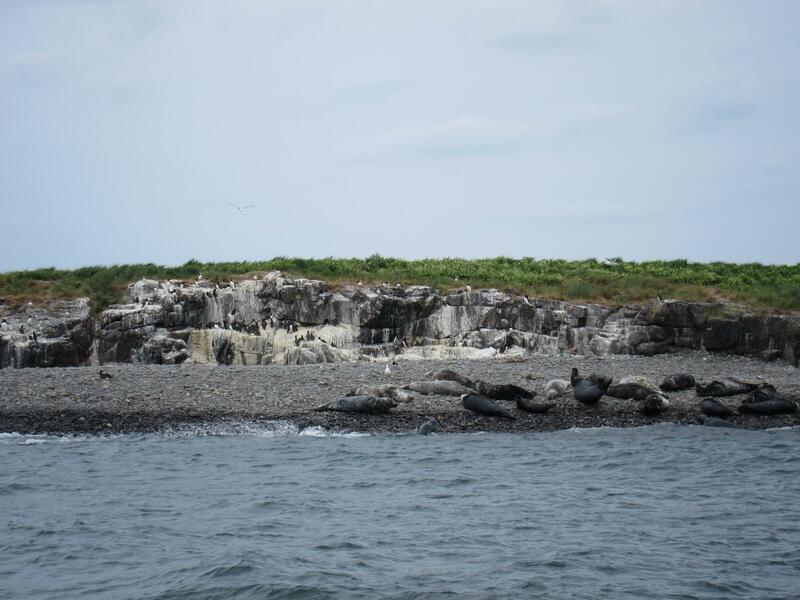 A few weeks ago I visited the Farne Islands off the Northumberland coast in the UK. 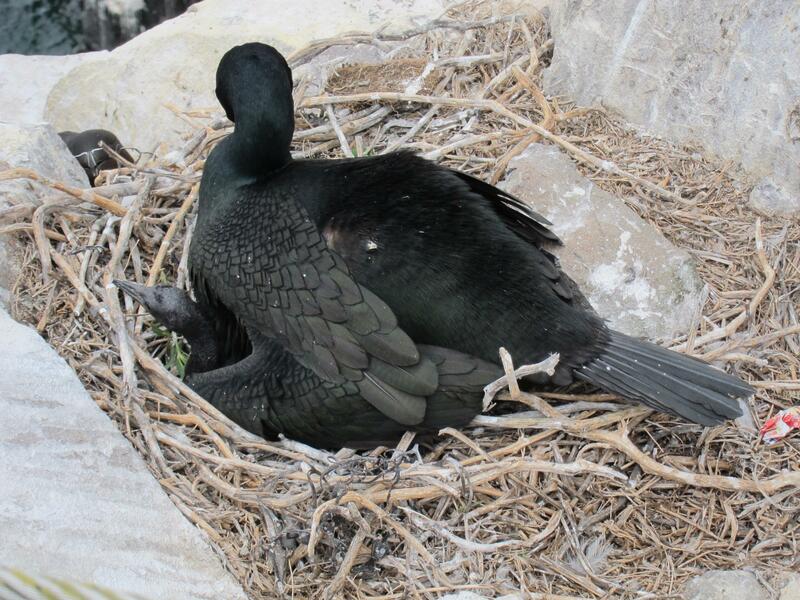 These islands are of international importance for their breeding sea bird populations. I took some photos from the boat when and where landing is prohibited not that landing would be feasible in many cases. 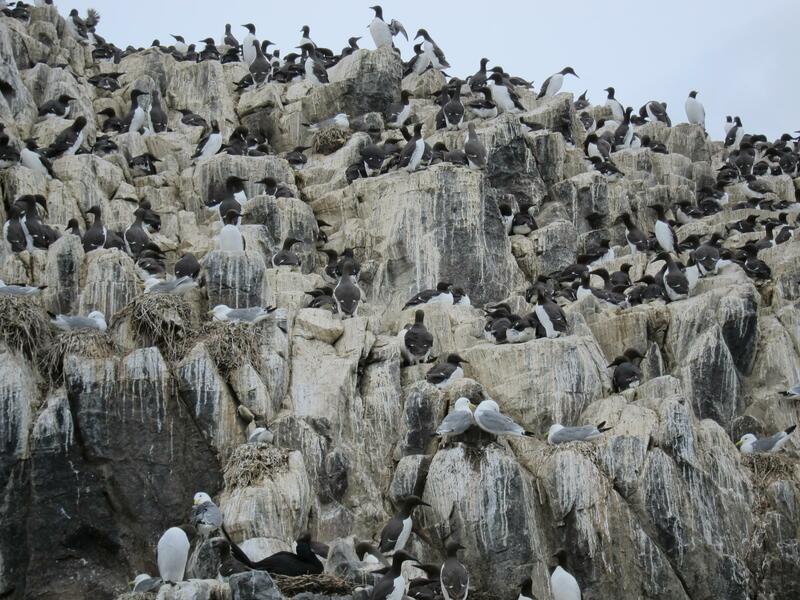 The rest of the photos are on Inner Farne which is the island we were allowed to land on. 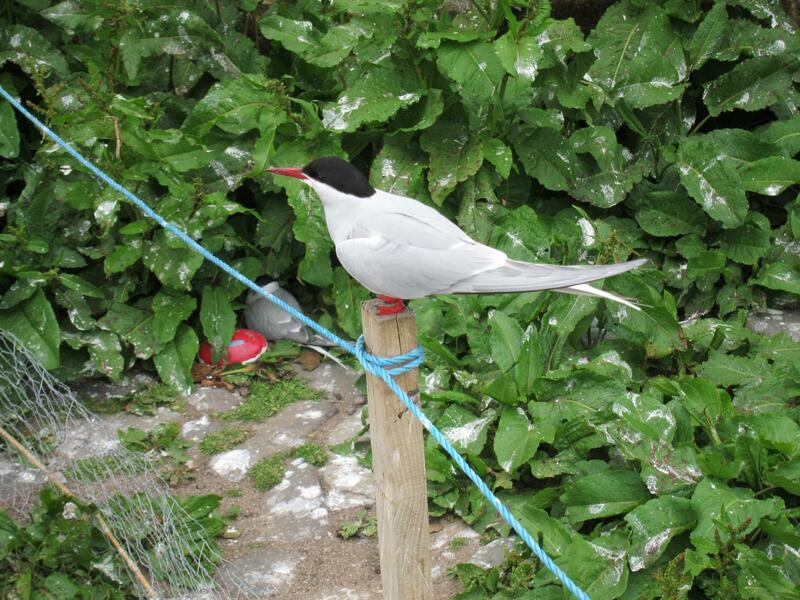 You have to wear a hat because the arctic terns are very protective of their eggs and chicks and will swoop and peck at your head. I went to the island almost 15 years ago with my partner and her children and they dismissed the idea of wearing hats. 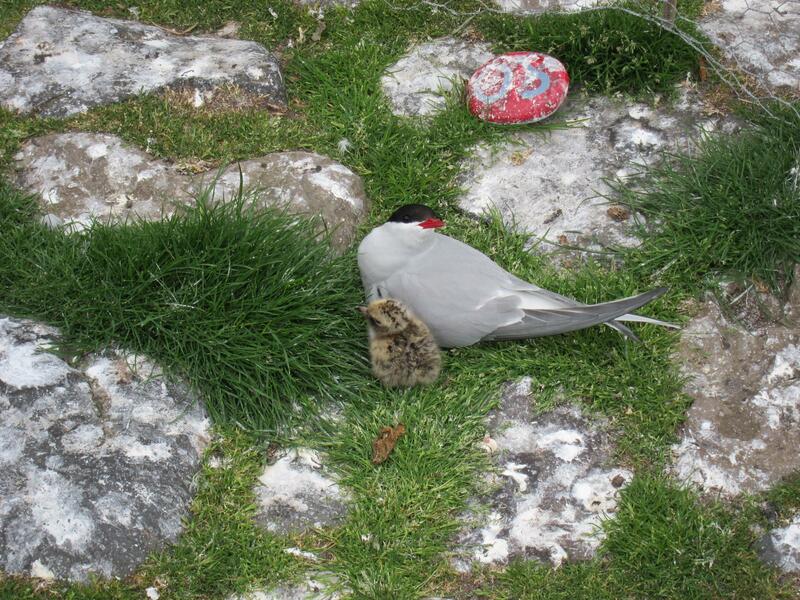 After the terns had drawn blood from three of them they began to reconsider. 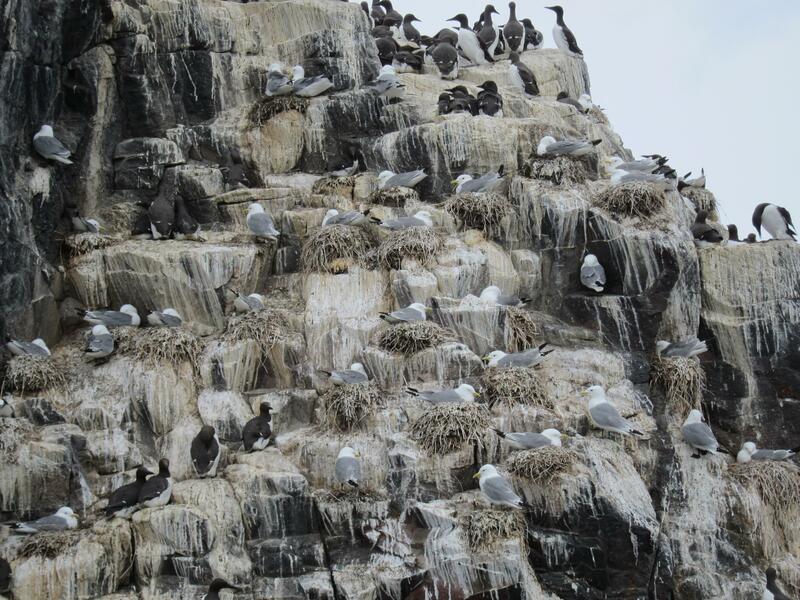 The sheer number of birds is breathtaking along with noise and smells from the guano. Inner Farne had a small religious community in medieval times and they brought rabbits to the island. 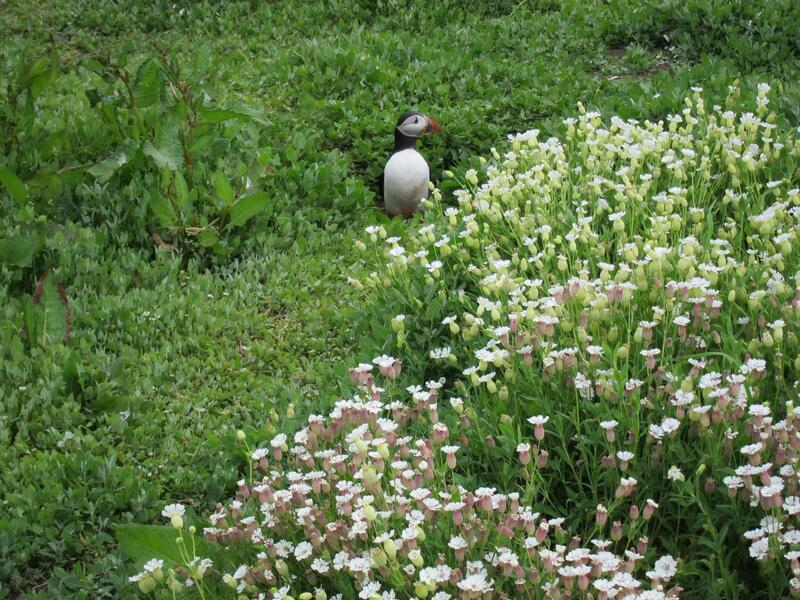 We saw a few rabbits but life must be hard because puffins will eject them from their burrows and take over. 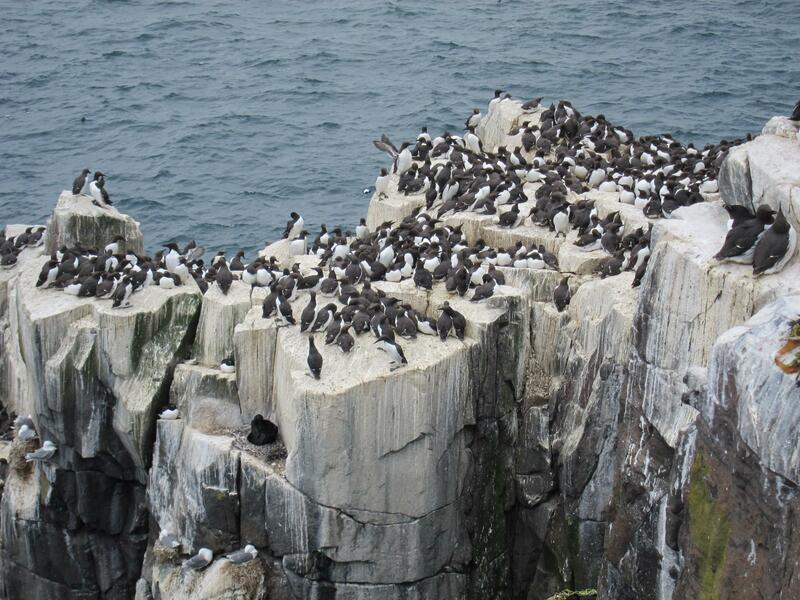 There are thousands of [Atlantic] puffins (Fratercula arctica)on the island and it is honeycombed with burrows. The islands are part of the Whin Sill which is a volcanic intrusion that stretches across a large part of northern Britain. Dolerite is very hard and resists erosion which gives rugged crags that the Roman Wall and three castles, Dunstanburgh, Bamburgh and Lindisfarne, used to their advantage. 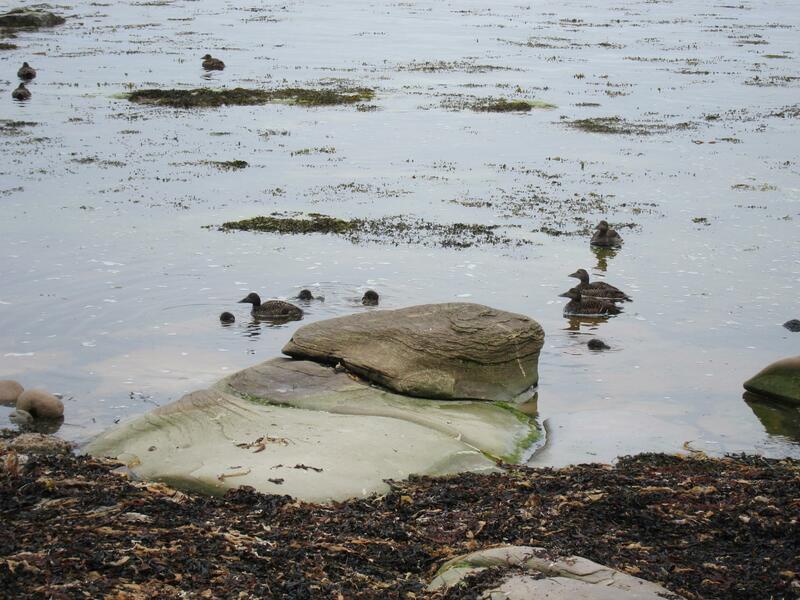 I know you like ducks so I’ve included a photo of eider ducks (Somateria mollissima) that I took at Seahouses before the boat trip to the Farnes. The little balls are the chicks dabbling for food. This entry was written by whyevolutionistrue and posted on July 22, 2018 at 7:45 am and filed under birds, mammals, photography. Bookmark the permalink. Follow any comments here with the RSS feed for this post. Both comments and trackbacks are currently closed. Beautiful birds, settings, and interesting writing! Lovely! I can practically smell the guano. I’d love to visit here it looks gorgeous! These northern landscapes and their inhabitants are majestic! Beautiful photos. Thanks for these. Great to see birds others have traveled to see. Thank you for your beautiful photos. I especially like the puffin. 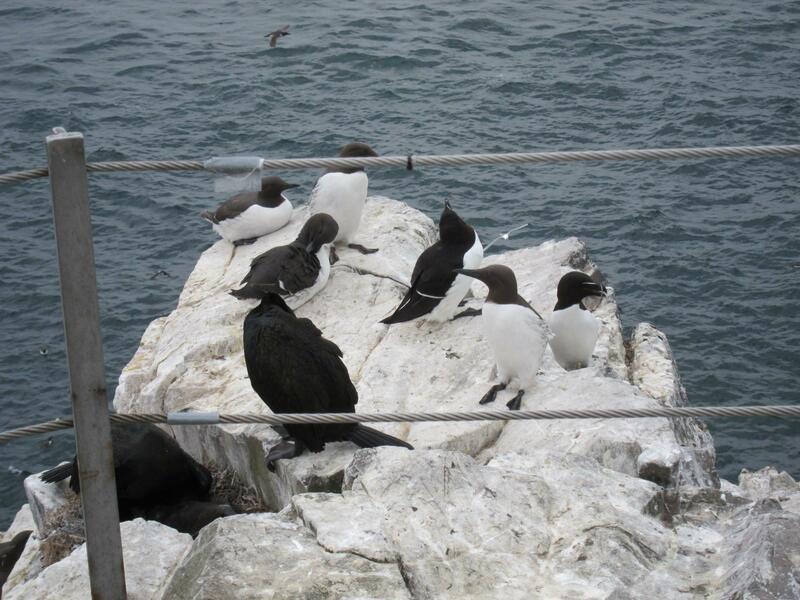 BTW is there an Uncommon Murre?